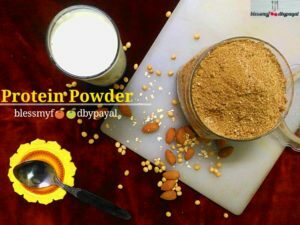 Homemade Protein Powder Recipe | protein powder | homemade protein powder recipe with step wise Video and pictorial method. Proteins are our fundamental necessity and we all necessitate it for the wellness of our body. Although we are captivating proteins via our daily meals too but at times that amount is not ample which our body actually requires. And as such we entail Protein powder supplements to be added in our daily schedule. This is the reason recipe of Homemade Protein Powder is here for you. Protein powder is a supplement that is often used by athletes and body builders to enrich their exercise training programs. If we consume it regularly, it can help our immune system to become better. It is very helpful in gaining the healthy skin, hair and nails. Having sufficient protein helps child growth and normal development and as such we always look ahead for many Protein Powder supplements existing in the market being sold with different brands and names. But what our children are consuming is undoubtedly full of preservatives. But no preservatives anymore. Prepare your own protein powder at home with the fundamental ingredients and effortless method. 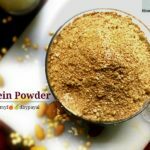 Homemade protein powder recipe is a supplement made with protein rich ingredients which ensures growth and health. Take a pan, preferably, non stick and dry roast oats, soya bean, almonds and peanuts one after another on a low flame till they become slightly golden. (you can use soya flour instead of soya daal.) Keep them aside in separate bowls. Let them turn completely cool. Now mince all the roasted ingredients one by one to a fine powder in a blender. Mix them all together. 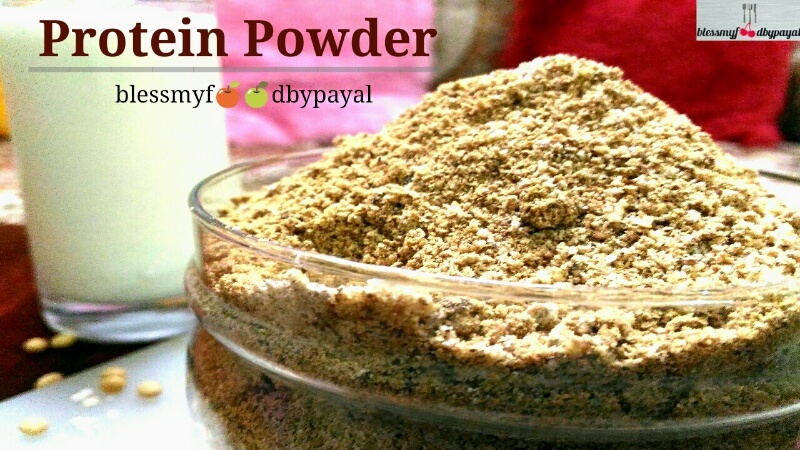 It will be more better if you again put all the powdered ingredients in a blender along with Milk Powder** to get a fine mixing. Your Homemade Protein Powder is ready. stay it in an airtight jar and give to your children by adding a tablespoon of it in hot milk. You can preserve it for 1 Month. 1. Take a pan, preferably, non stick and dry roast oats, soya bean, almonds and peanuts one after another on a low flame till they become slightly golden. Keep them aside in separate bowls. 5. Your Homemade Protein Powder is ready. stay it in an airtight jar and give to your children by adding a tablespoon of it in hot milk. 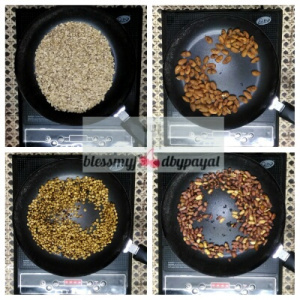 You can use Cashews and/or Walnuts in addition or in replacement of Soyabeans. 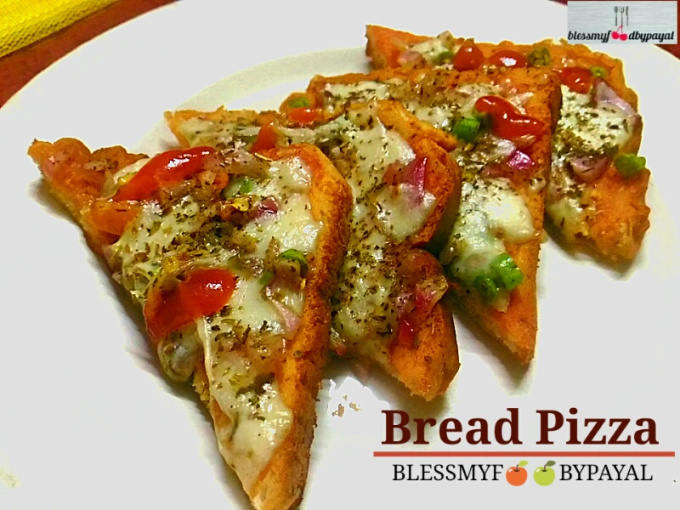 *after you have dry roasted the ingredients, especially almonds and peanuts, better to let them turn completely cool and this is very important. If you grind while they are hot, they may become a paste instead of powder. Also, don’t overdo while grinding almonds and peanuts. 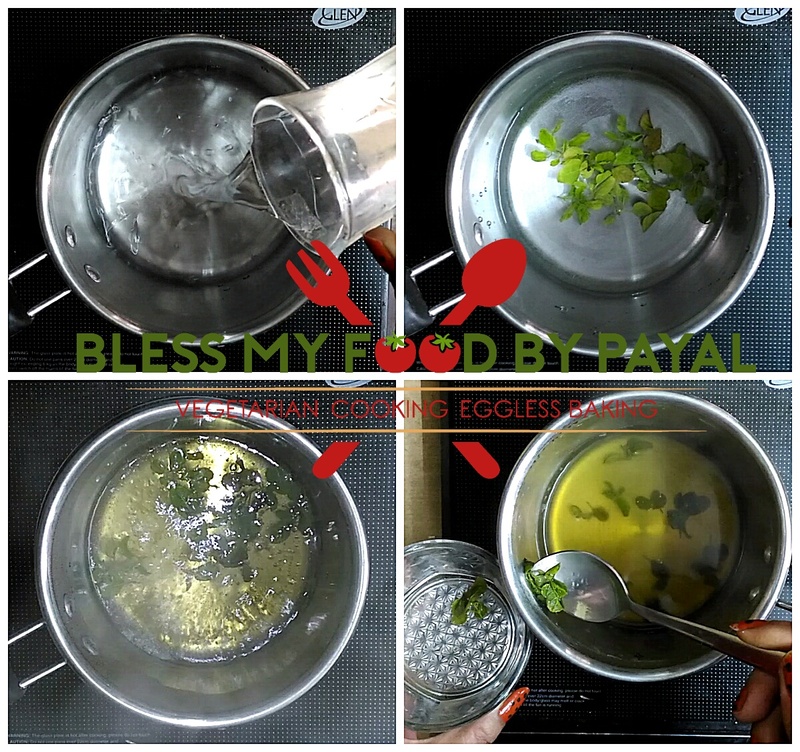 This may create a trouble in making a very well Powder and both of these two ingredients will get the paste like consistency. ** If your children adore having a chocolate flavor, in such a case add cocoa powder along with milk powder while amalgamating all the ingredients. but adding cocoa powder is purely yours choice. I. if making the powder for adults, don’t add cocoa powder at all and leave the entire protein powder chocolate flavour free,. (…but don’t draw the meaning that adults are restricted to relish chocolaty flavors ). II. make it chocolaty by adding cocoa powder in the entire protein powder. III. separate half or some of the portion of Protein Powder & thereafter add cocoa powder only in that half part and store in separate jar. This way you are going to have protein powders with 2 flavors. IV. don’t add cocoa powder at all while preparing protein powder and only when you are making a drink for your children, add a small spoon of cocoa powder or chocolate syrup along with Protein Powder. It’s up to you…what you love to enjoy and share.